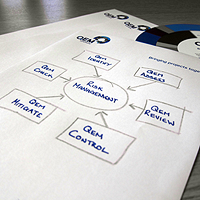 As well as providing bespoke consultancy and Project Services, QEM Solutions ensure that we deploy the best possible software solutions to enhance everything we do. Take a look at the suite of solutions we have scoured the world for, and collaborated with to ensure peak performance and usability. The role of a designer just gets harder. More complex designs. Tighter deadlines. What is needed is a better design process to aid them. Along with some good, old fashioned clear methodology. Our Design Process Management provides this methodology. It encompasses all relevant and available influencing factors. And it gives clear and logical steps to reach the project objectives. You have no doubt been there. Had a project delayed or stopped due to lack of materials. Or wrong delivery. Even something as simple as wrong certification. It's easily done – and extremely frustrating. Now imagine that being someone else's responsibility. Give the procurement to the QEM Solutions team. It's the start of the project. And everyone just wants to get stuck in. So start up consultancy is the kind of job that most people don't like doing, or don't have time to do. However, without a good start-up plan, we all know that there will be standing time and increased project costs.